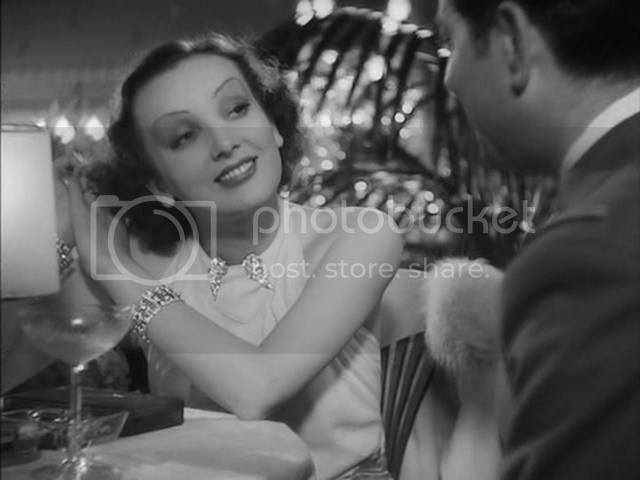 Jean Grémillon's Gueule d'amour (Lady Killer) of 1937 is almost an archetypal French film of its period. It uses North African colonial settings, like Pepé le Moko. It features the French foreign legion, like La bandera and Le grand jeu. It celebrates male friendship over the perfidy of women, like La belle equipe. It stars Jean Gabin, like everything else. Gabin plays Lucien Bourrache, known as "Gueule D'Amour" because he's such a hit with the ladies. This is apparently a combination of his foreign legionnaire's uniform and his implacable self-confidence. Then he meets Madeleine. What follows is a fall from grace, as Lucien leaves the army to pursue the woman with whom he is now utterly smitten. He tries to break up with her when she neglects him, and when he realizes she's a prostitute. Nothing works. Finally, he's had enough, and flees into the countryside, where he opens a bar. His cheerful, energetic air has dissipated. He walks slowly, his body weighing him down. What actress could embody a temptress so alluring, so impossible to quit? Maybe a third version could nail it...but maybe Vertigo is that third version. 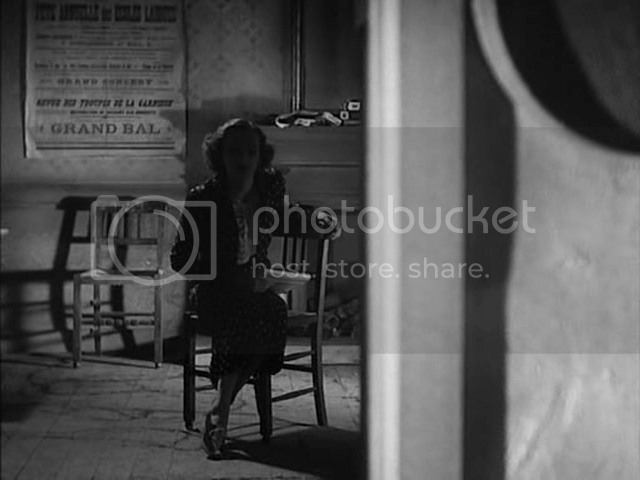 I'm formulating a theory that D'entre les morts, the source novel of Vertigo, got written by Boileau and Narcejac based on half-remembered viewings of both Feyder's Le grand jeu and Grémillon's Gueule d'amour, folded together and distorted and improved in memory, with the most obvious connection, the foreign legion scenes, jettisoned entirely. The woman in Gueule is called Madeleine, she shifts personality in inexplicable ways, and the hero is ruined by his love for her. Le grand jeu has the doubling of the woman and the attempt to remake version 2.0 in the exact image of her predecessor...Splice the two together, the way two rooms separated by miles of real space might get slotted together by a single doorway in a dream, and you have what feels like the beginnings of Vertigo, both the novel and the later Hitchcock film. 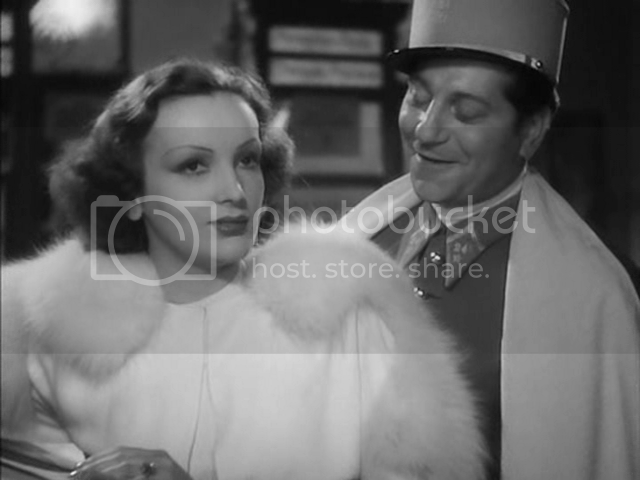 What I'm primarily saying is that Balin, who also sizzles opposite Gabin in Pepé le Moko, was a Great Star, endlessly fascinating to watch, her face as perfectly designed for catching the light as Dietrich's or Garbo's, her essence as mysterious. Though Gabin blasts forth a tour-de-force performance, including his most apoplectic paroxysm of murderous rage ever (and he does one in every damn movie—I believe he insisted on that), Balin is the more haunting presence. Why isn't she more celebrated? "After the German occupation of France and her separation from her long-time fiancé, the singer/actor Tino Rossi in 1942, she starred in several films and became the idol of the Paris High Society where she met the love of her life, Birl Desbok, an officer in the Wehrmacht. In the summer of 1944, as Paris was about to be liberated, she and Desbok fled Paris and tried to reach the Italian border but on September 28th, 1944 they were arrested by the FFI in Beausoleil (near Nice). Separated from Desbok, who was probably executed (she never knew what really happened to him), she was beaten and raped before being taken to Nice prison. She was soon transferred to Fresnes prison (near Paris) where she stayed until her release on bail on 3rd January 1945. 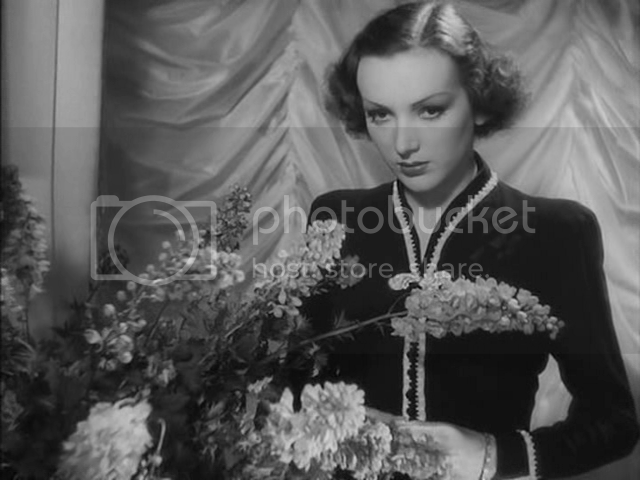 She was forbidden to work for a year but once this restriction lifted, she went back to the studios to appear in what proved to be her last film La dernière chevauchée (1948), her frail constitution prevented her from appearing in any other films. She died in 1968, forgotten and broke." There's nothing, nothing, we can do about that. But we can choose not to forget. Reading this afforded me a great deal of pleasure. This one is indeed a gem. But it’s just the tip of the Gremillion iceberg. “Lumiere d’ete” is The Masterpiece, IMO. And “L’Amour d’un Femme” isn’t exactly chopped liver. Your frame grabs are a bit deceptive, as most of the film is awash in sunlight. The darkness comes in Gabin’s slow demoralization, culminating as you say in one of his numerous tantrums (much like Brando’s inevitable beatings in his earlier films, something you almost come to expect). Gabin’s background is undeniably working-class, which is one reason why Balin’s gold-digger can’t seem to make up her mind as to what he means to her. It doesn’t help her cause that her manservant is such a snob, or that her mother is such a blatant opportunist ( depicted very unfavorably, stuffing her bones at her daughter’s expense). All these factors add to Gabin’s growing quiet anguish, and of course there is the straw that breaks the camel’s back, Madeleine’s wooing and rejection of Gabin’s old friend from his Legion days. Balin’s beauty is very much of the time, her thin (penciled?) eyebrows her least appealing attribute, but her features are delicate, feminine. She’s a bit more appealing in PEPE LE MOKO, not as much the femme fatale, but even there she plays a kept woman with an older lover (maybe her husband, cant recall for certain). Interesting to me that Gremillon becomes the second director to pair Gabin with Balin, just as he’s the second director to pair Gabin with Michele Morgan, in REMORQUES (her first was in PORT OF SHADOWS of course). Morgan turned out to have more good fortune than Balin in the long run, needless to say. 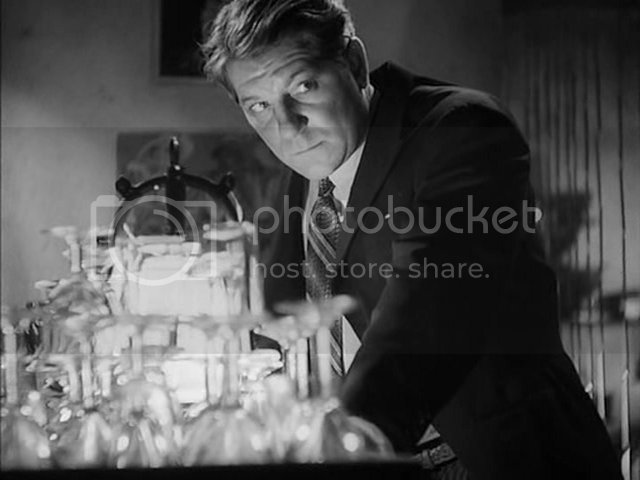 The film starts very bright, with a crisp focus on shiny objects, water and glass… and it darkens and gets grimy as Gabin deteriorates. Gremillon’s landscapes and insert shots always strike me as wonderfully evocative. There’s a lovely shot of a tabletop with a bottle of gin on it. I really want to pick up that bottle.